Manganese in water is a common, naturally occurring problem but can also be introduced by industry. It can produce a brownish discoloration and have a very unpleasant odor and taste. It may produce black deposits and black filaments. Chlorine bleach should not be used in laundry washed in water with a high iron or manganese content because it can cause stains to set. Some types of bacteria derive their energy by reacting with soluble forms of iron and manganese. These organisms are usually found in waters that have high levels of iron and manganese in solution. The reaction changes the iron and manganese from a soluble form into a less soluble form, thus causing precipitation and accumulation of black or reddish brown gelatinous material (slime). Masses of mucous, iron, and/or manganese can clog plumbing and water treatment equipment. They also slough off in globs that become iron or manganese stains on laundry. Currently known cases of manganese poisoning have occurred at elevated levels much higher than levels found in most natural water. See the following document for more detailed information about Manganese in Household Water. 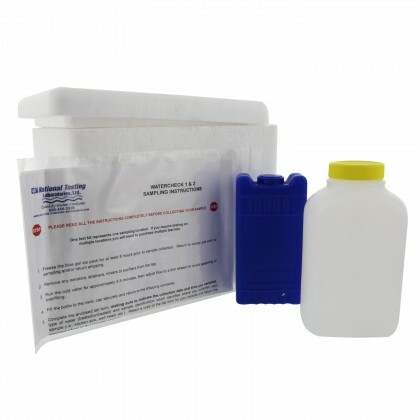 The most common treatment method for manganese is a Water Softener. See this informative document for other methods of Water Treatment for Iron and Manganese Removal.